Salivas are popular at this time of the year, their cheerful flowers brightening the garden in what can be a tricky time for colour displays. It is even better to know the stories behind some of them. 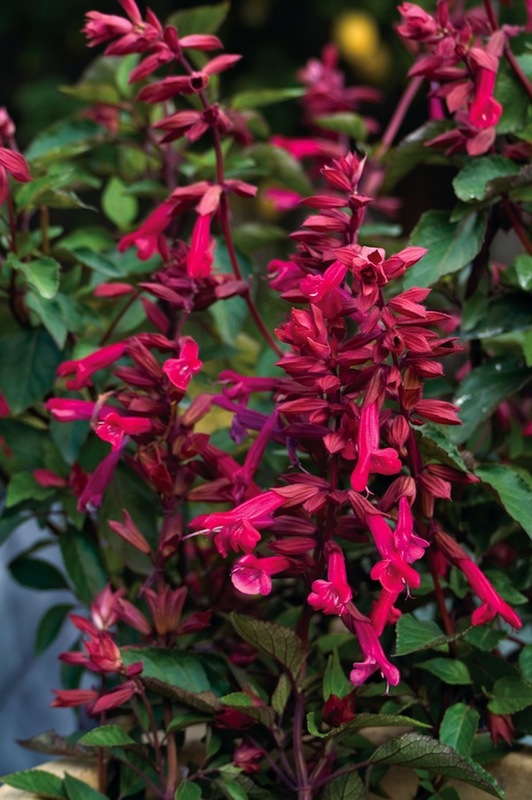 Salvia ‘Wendy’s Wish’ has been on the market for quite a few years. It has a vibrant magenta flower and seems to nearly be in bloom all year round and it grows so quickly. It’s great for new garden beds that need an instant boost. 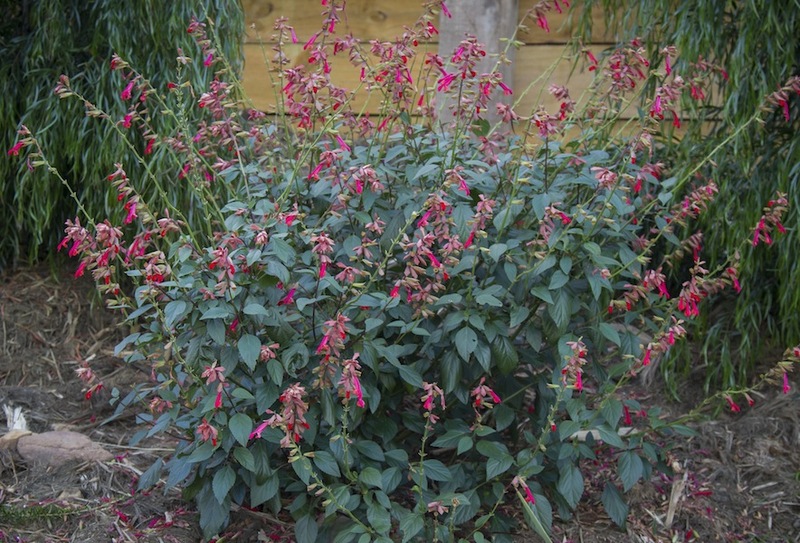 This plant was discovered by a Salvia enthusiast by the name of – you guessed it – Wendy. The remainder of the name evolved from her desire to support the Make-A-Wish Foundation. Hence, part of the proceeds from the sale of this plant are donated to this great charity. Last year a new colour break was discovered. This means we can enjoy all the great traits of ‘Wendy’s Wish’ but with a new flower colour. 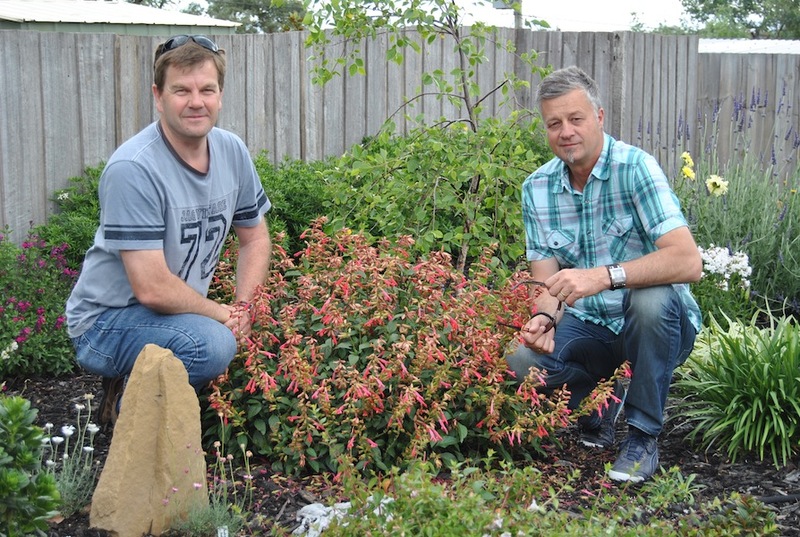 Fittingly, the discoverers of this new variety – renowned Victorian nursery Plant Growers Australia (PGA) – were also keen to support Make-A-Wish Australia. Once again, part of the proceeds from the sale of this new variety will be donated to Make-A-Wish. PGA took their commitment one step further. At last years annual Make-A-Wish ball we auctioned the right to name this new variety. The best part of this was that it raised thousands of dollars that went straight to helping grant more wishes to Australia’s seriously ill children. The couple who eventually won the auction have a touching story and really make you think about just how amazing the Make-A-Wish organisation is. 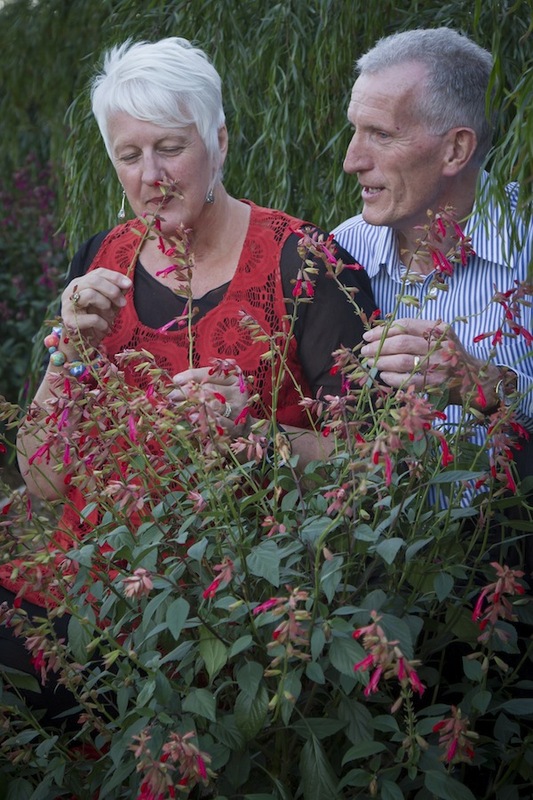 Paul and Lyn Shegog of Hobart lost their two teenage children to a fatal genetic disorder and were determined to name the plant in their memory. This inspiring couple have endured every parents worst nightmare and their positive attitudes and strength can only be described as simply amazing. Both Paul and Lyn’s commitment to Make-A-Wish is second-to-none, and they both continue to work tirelessly for the charity to help other families as much as possible. The Shegogs chose the name ‘Ember’s Wish’ to reflect the names of both their children – Emma and Brett. Fittingly the name also describes the flower colour of this particular variety. So if you’re thinking of buying just one new plant this season, this is a great choice. It’s lovely to know that your purchase gives back to a great charity and seeing this plant growing in your garden can remind you of how fortunate you are. It’s a lovely way to spread an important message. You’ll find ‘Ember’s Wish’ appearing in garden centres from now on. Look out for it over autumn and share its story with your family. Ever wanted to name a new plant? Plants Management Australia is an Australian based licensing and marketing company which manages the protection and introduction of new plant varieties across the globe. PMA represents the interests of independent breeders, providing professional management for new varieties and quality, transparent service. I am sure you will enjoy this one just as much. Do you know about the love and wishes variety ? 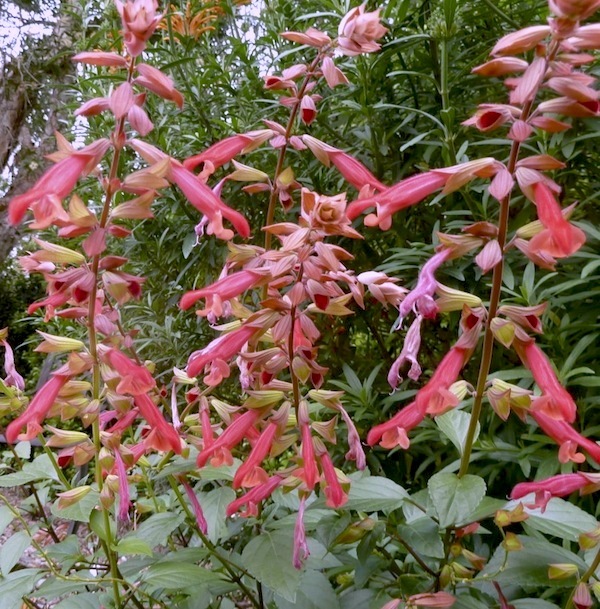 Hi Kim – I’ve grown Salvia ‘Love and Wishes’ for several years. I find that it needs regular deadheading of the spent flower spikes but, if you do that, it will flower for many months. Like many plants that flower for a long time, I think it loses vigour after 2-3 years and it’s better to then put replace the old plants with new ones.